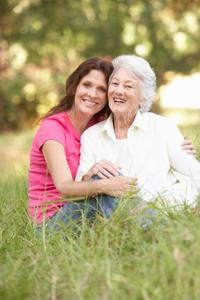 Celebrate National Family Caregiver Month! Take some time to reflect on how much of a positive effect you're having on another person's life. Your caring for your client's physical and emotional needs is a tough job that is often accompanied by personal sacrifices of time and energy. Pat yourself on the back, buy yourself a bouquet of flowers or even give yourself a full day off to do what you want to do - you earned it! Spend time with others who do the same job as you. Have a get-together or host a group dinner outing. Take a load off with those who understand what you deal with and the difficulties you face day-to-day. If you love caring for your client, take a day to celebrate with them. Splurge on manicures or a movie and a nice lunch, and have fun with each other.